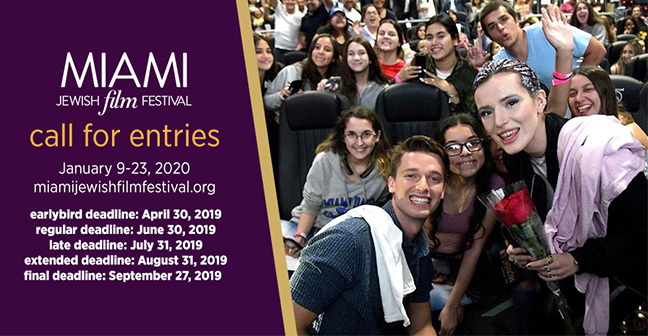 Miami Jewish Film Festival: Film Submissions Now Open! 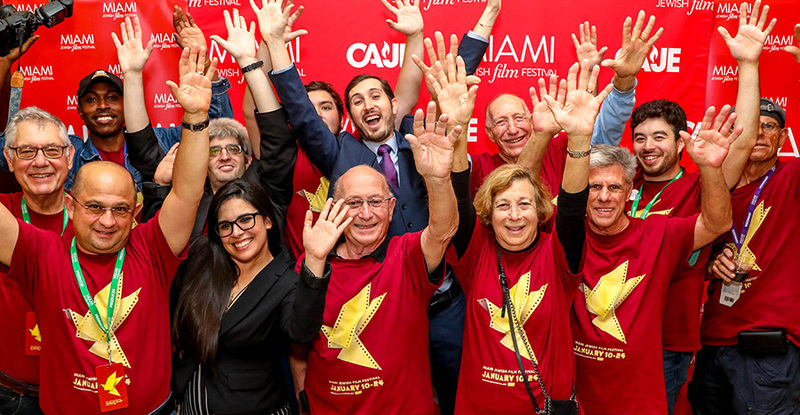 The Miami Jewish Film Festival (MJFF) is one of the largest and longest-running festivals of its kind and the world's premier Jewish film festival. MJFF is a leader in the curation and presentation of new film and media exploring universal themes of identity, history and culture. MJFF attracts more than 30,000 filmgoers and industry professionals to its annual two weeks of inspiring films, events, panels, and parties. Screenings take place at ten major venues throughout Miami during January. Works in all forms and genres are considered. MJFF presents dramatic, documentary, experimental, and animated features and shorts about Jewish history, culture, and identity as well as films that reflect life through a Jewish lens. The programming staff takes a broad view of what makes a film Jewish and have been known to curate films that are Jew(ish) as well as films about issues that are relevant to Jewish communities and resonate with other cultural communities across the globe. As one of the world's preeminent Jewish film festivals, MJFF has received significant industry recognition and respect. Each year, several films premiering at the Festival are acquired for US distribution, an honor the Festival feels great pride about. Recent distributors who have acquired films directly from the Festival include Kino Lorber (The Last Resort), Samuel Goldwyn Films (Sobibor), Strand Releasing (The Other Story), Menemsha Films (1945, In Search of Israeli Cuisine, Leona), Passion River Films (The Barn), and Go2Films (Sefarad). 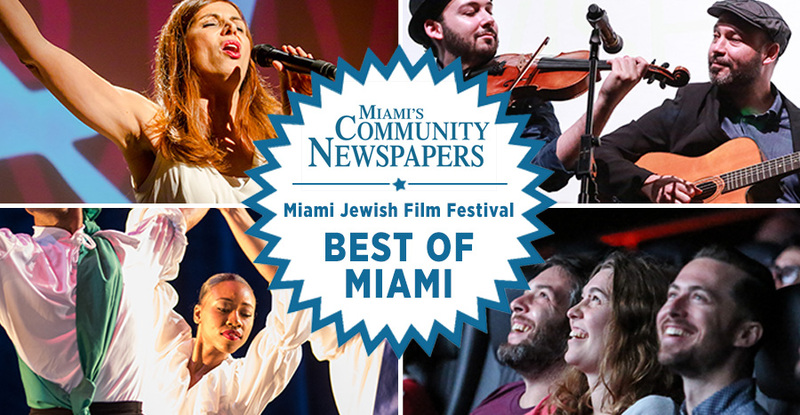 The Miami Jewish Film Festival has been named "One of the Best Jewish Film Festival's in the US" by The Forward, "One of South Florida's Best Film Festivals" by The Miami New Times, and selected "Best of Miami" by Miami's Community Newspapers. Moviegoers cast their ballots for the Best Narrative and Documentary Feature Films of the Festival, with winners receiving the MJFF Audience Award. Select films are also eligible to participate in the Critics Jury Prize, awarded by members of the local press. 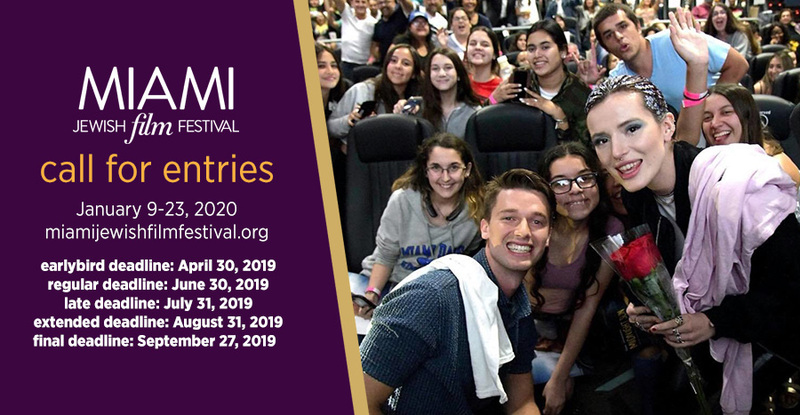 Short films may participate in MJFF's Short Film Competition, with winners receiving a non-exclusive US distribution release of their film through Film Movement, as well as a $500.00 USD prize. Deadline to submit feature or short films is September 27, 2019. MJFF is open to U.S. and international entries. English language or English subtitles only. To qualify for consideration, all submissions must have some cultural or historical relevance to the Jewish experience or life in Israel. MJFF retains sole discretion to accept or decline submissions for any reason. Submission of a film does not guarantee exhibition in the festival. The decision of the MJFF Film Screening Committee is final.